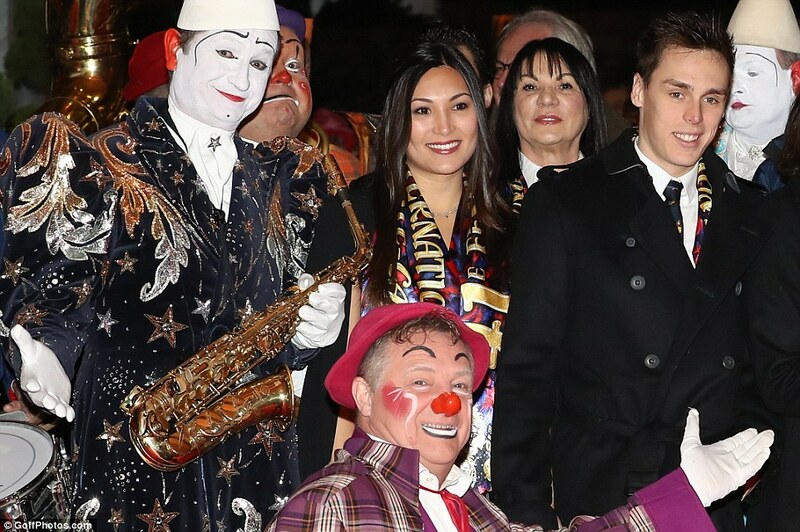 Thursday, the 19th of January, HSH Prince Albert II, Princess Stéphanie (President of the Festival) and her children, Louis and Pauline Ducruet, inaugurated the 41st edition of the International Circus Festival of Monte-Carlo at the Marquee of Fontvieille. 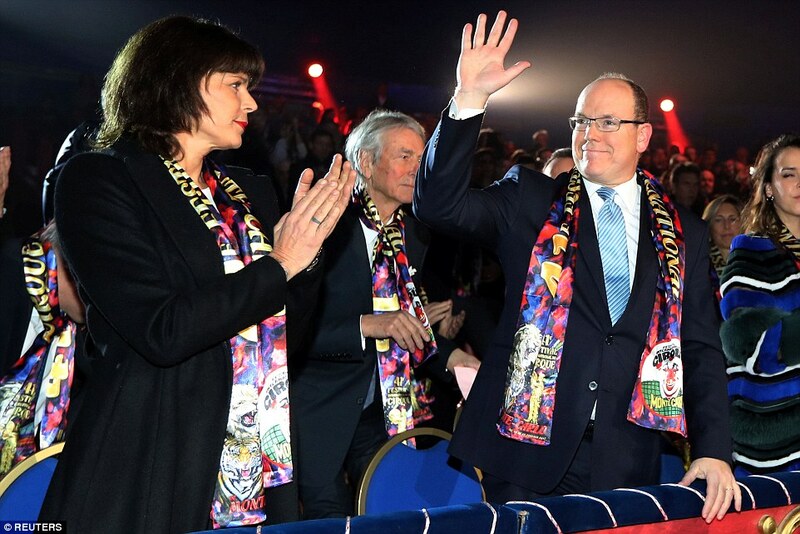 HSH Prince Albert II, Princess Stéphanie (President of the Festival) and her children, Louis and Pauline Ducruet, inaugurated the 41st edition of the International Circus Festival of Monte-Carlo at the Marquee of Fontvieille. Photos by Frédéric Nébinger. 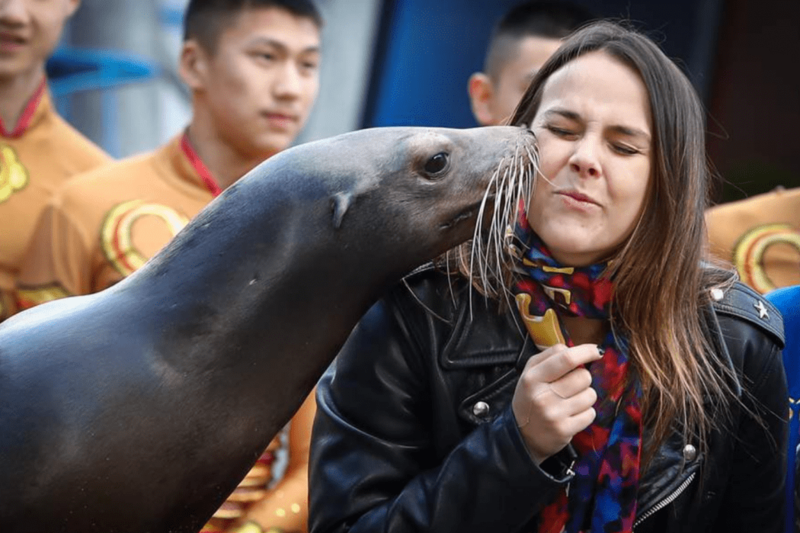 Stephanie of Monaco and her daughter, Pauline Ducruet, 24, met a charming admirer for the opening of the 41st International Circus Festival of Monte-Carlo. Trainer Erwin Frankello from Germany will present two elephant and sea lion numbers. One of the sea lions met part of the princely family during a preview. The beautiful animal gave two kisses to the princess and her daughter. 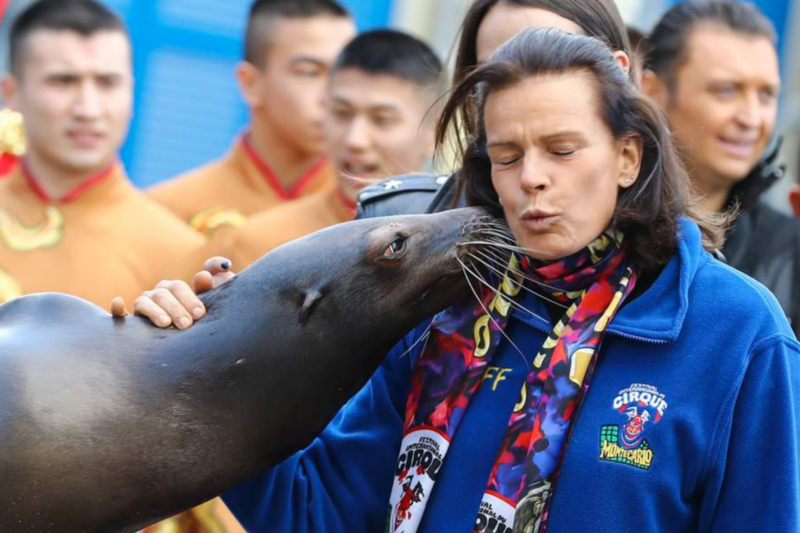 The seal gave a kiss to Pauline Ducruet. Photo by Frédéric Nébinger. Since a young age, Pauline has been passionate about the circus. In 2012, with her mother, she founded the New Generation Festival, an international circus festival for children under 20 years of age. The mother and daughter shared a beautiful moment of togetherness and laughter during the sea lion’s act. They are usually thousands of kilometers apart. Pauline is a student in New York and Stephanie doesn’t leave the Rock. The last time they were seen together was during Christmas. They met during the holidays and celebrated their passion for winter sports in the Maritime Alps. Although he is from a famous family, Louis Ducruet is a young man who cultivates discretion. A rule which he put aside by appearing hand in hand with his girlfriend Marie during the Circus Festival. Louis Ducruet with his girlfriend Marie during the Circus Festival. Photo by Frédéric Nébinger. Unlike his sisters, Pauline Ducruet and Camille Gottlieb, who are both very active on social networks, Louis Ducruet is a discreet young man. 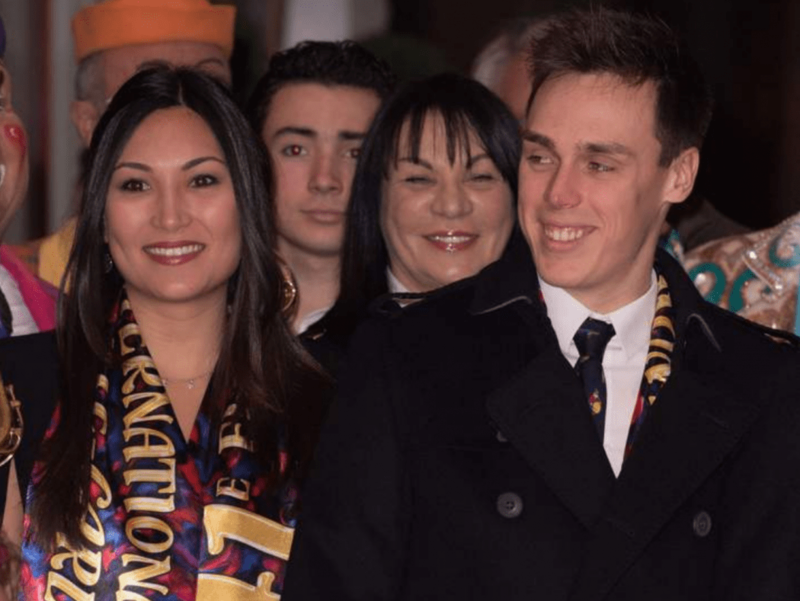 At 24, Stéphanie of Monaco’s eldest son lives far from the spotlight but knows how to be present at important, official events for the Princely family, like last ‘Christmas for the children’, which was organized by his uncle Albert and Charlène. Today he was with his mother and other members of the Grimaldi dynasty for the 41st Circus Festival of Monte-Carlo. And by his side stood Marie, the ravishing young woman who has been sharing her life with him since last summer. 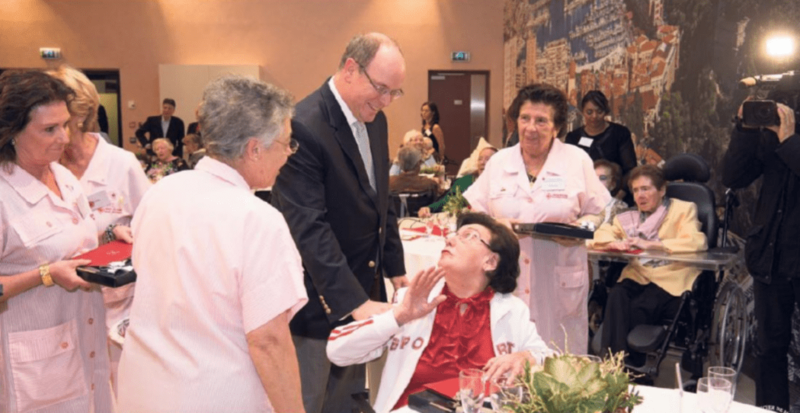 The sovereign went to the Princess Grace Hospital to meet patients. First, the ruler shared a snack with patients in the recreation room at the Rainier-III gerontology centre. The Prince gave every patient a framed photo, chosen by Princess Charlene, of the Princely couple with their children at the opening of the Christmas village last year. Then, the sovereign continued his visit with patients in the digestive surgery ward, with the company of Dr. Maurice Chazal. Friday, 20th of January, HSH Prince Albert II and his nephew Mr. Pierre Casiraghi attended the celebration of San Sebastian, Patron Saint of the Company of Carabiniers. 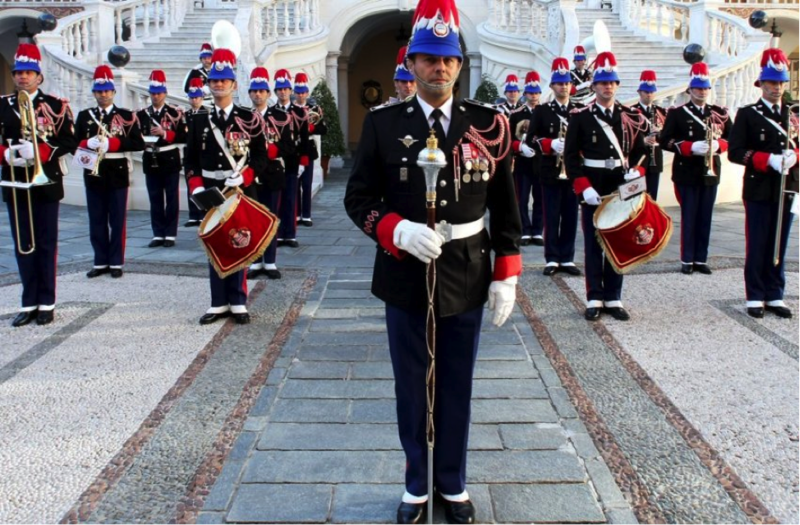 Earlier in the morning, in the Cour d’Honneur of the Princely Palace, the Superior Commander of the Public Force, Colonel Luc Fringant, carried out the assumption of command Ceremony of the Prince’s Company of Carabiniers by Commander Gilles Convertini. Afterwards, they attended the traditional Mass at the Cathedral of Monaco. The feast of San Sebastian, instituted in 1954 by Prince Rainier III, is celebrated every year within the Society of the Carabiniers of HSH the Sovereign Prince. Given the history of the corps and of Saint Sebastian, it was certainly a well-chosen date to enshrine Gilles Convertini in his new role as Corps Commander of the Carabiniers in Monaco.